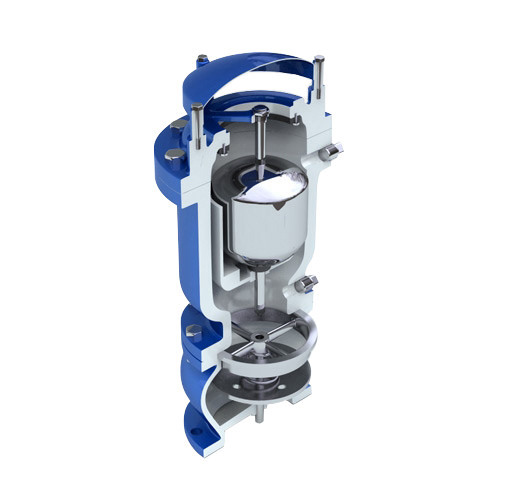 Slow Closing Air/Vacuum Valves are standard Air/Vacuum Valves mounted on a Surge Check Valve. The Air/Vacuum Valve allows air to escape freely. 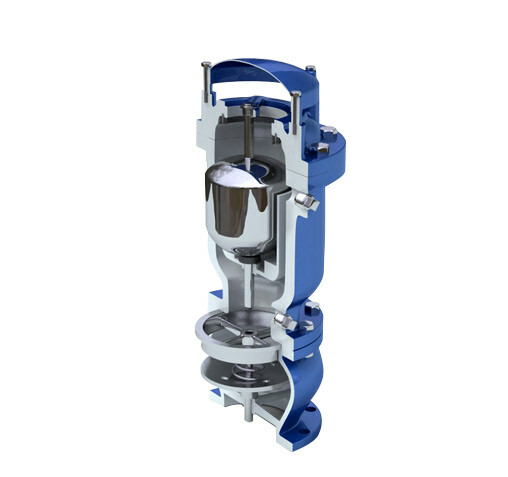 The Surge Check is a normally open valve so that air passes through unrestricted, but when water rushes into the Surge Check Valve the disc closes and reduces the rate of flow of water into the air valve by means of throttling holes in the disc. 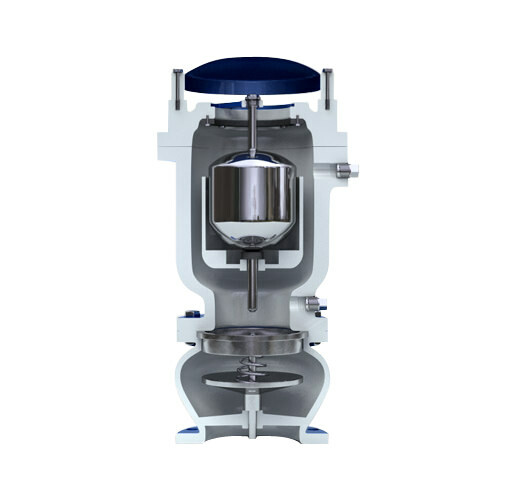 This ensures normal gentle closing of the Air/Vacuum Valve and minimizes surges.